Hospital discharge to a post-acute setting is often among the most daunting challenges that patients and their families face. An estimated one in five hospitalized patients are discharged to post-acute care settings such as skilled nursing facilities (SNFs) or long-term care hospitals. However, the decisions are usually rushed, and options are often unclear, which can result in placements with low-quality care and negative outcomes such as hospital readmission. A recent report from the United Hospital Fund found discharge planning can fail patients seeking to find high-quality post-acute care providers. 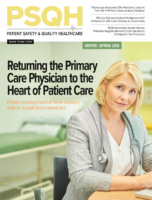 “The system-centered interests of payers, providers, and regulators often take precedence over patients’ needs—when the interests of patients, whose recovery is at stake, should be front and center. Support for careful assessment of post-acute care options, an ingredient that should be essential to discharge planning, is hard to come by and risky if missing,” the report’s researchers wrote. Patients and their families face several hurdles when selecting post-acute care providers, the United Hospital Fund report says. In a speedy discharge process that is usually less than 48 hours, patients and families play the leading role in finding post-acute care providers often with little familiarity about the services offered or health insurance coverage. Quality of care varies between providers, which can result in poor outcomes and significant out-of-pocket costs. In markets with multiple providers, patients and families are usually ill-equipped to make informed decisions. Most patients want hospital staff to help them find post-acute care providers, but federal law gives Medicare beneficiaries choice in selecting providers and blocks hospitals from offering specific recommendations. Post-acute care is costly. In 2016, the cost of care for Medicare beneficiaries in post-acute settings was more than $60 billion. In the discharge process, patients and their families are often given bewildering lists of providers, the report authors wrote. “Patients who will be discharged to home with certified home health agency services are generally given a list of the names, addresses, and phone numbers of agencies in the surrounding area and asked to choose an agency. When post-acute care at a facility is required, discharge planners distribute similar contact lists for SNFs located in the region, indicate which ones accept a patient’s insurance, and ask patients to identify several choices,” they wrote. Hospitals and their discharge teams can help patients and their families rise to the challenge of selecting appropriate post-acute care providers, the co-author of the report told HealthLeaders this week. “There are tradeoffs involved in many decisions about post-acute care, which discharge planners could discuss with patients and family members. That kind of guided discussion or review could help patients and families weigh the advantages and disadvantages of their options, and determine how their priorities and needs could be best accommodated,” said Lynn Rogut, director of Quality Measurement and Care Transformation at the United Hospital Fund’s Quality Institute. Re-engineering discharge planning to make it less complex is a significant hurdle for hospitals, Rogut said. “For the most part, discharge planning continues to lack standardized protocols, and it can vary from patient to patient, and hospital to hospital. Placing patients at the center and standardizing the process to the extent possible could begin to help, but the involvement of external parties such as health plans, the individual needs of each patient, and other ‘system’ constraints will also need to be considered,” she said. Discharge planners should strive to help patients and their families understand their options, Rogut said. Patients and families often turn to online resources to find post-acute care providers, Rogut and her co-authors wrote. “Most hospital discharge planning staff refer patients and family caregivers to the ‘Compare’ sites for home health agencies and nursing homes that are sponsored by the Centers for Medicare & Medicaid Services (CMS). Home Health Compare contains performance ratings for all Medicare-certified home health agencies based on data from insurance claims, standard patient assessments that agencies submit to CMS, and other information collected by state regulators and CMS,” they wrote. Home Health Compare features a pair of star ratings—one gauges quality of care and the other reflects patient experience. Nursing Home Compare provides star ratings for Medicare- and Medicaid-certified nursing homes. The star ratings reflect the results of state health inspections and data that nursing homes submit to CMS on staffing levels and quality performance. Yelp and Facebook have reviews of SNFs and home health agencies. However, the report’s co-authors say these websites are not as reliable as the Compare sites. “Until the numbers of consumer reviews grow, they can be subject to bias and should be interpreted with caution,” they wrote.